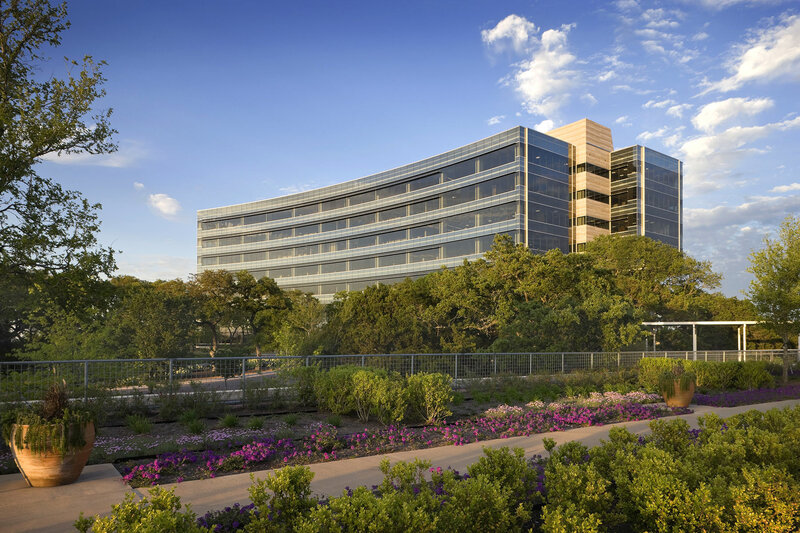 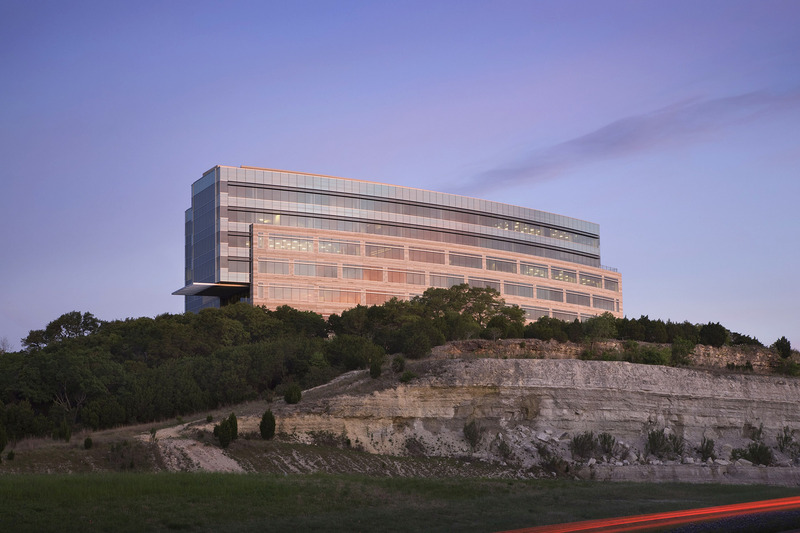 The two office buildings and central parking structure in this office development outside Austin are sited and shaped to take advantage of the spectacular views from the hilltop site. 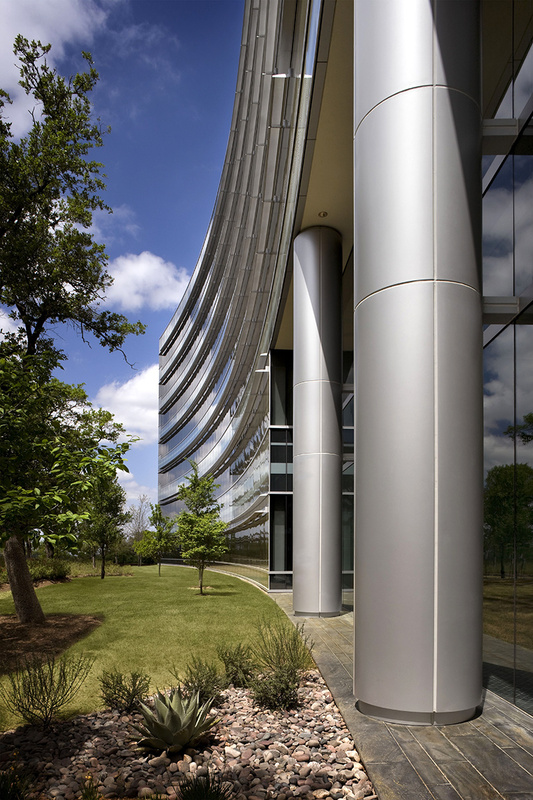 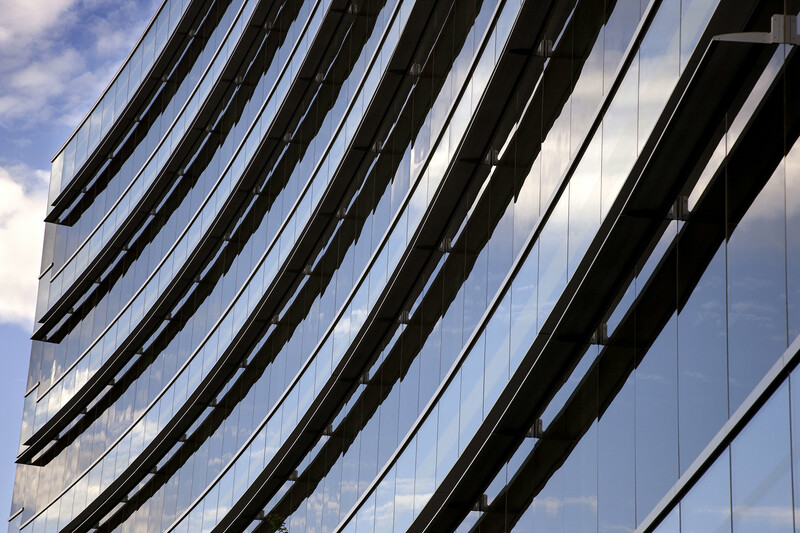 The curved facades of the office buildings are composed of floor-to-ceiling glass and limestone hued architectural precast spandrels. 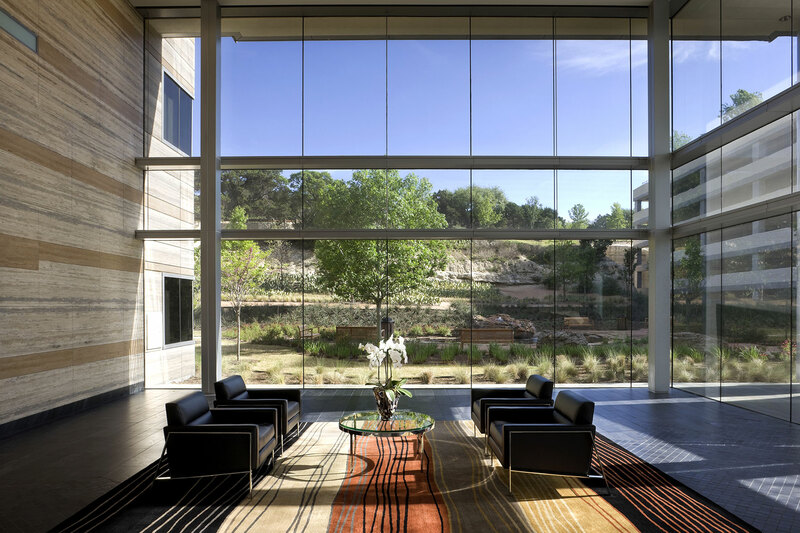 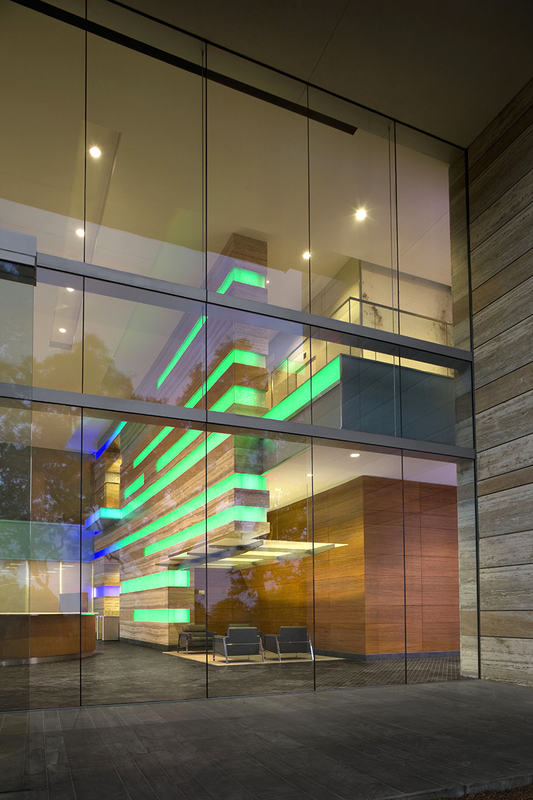 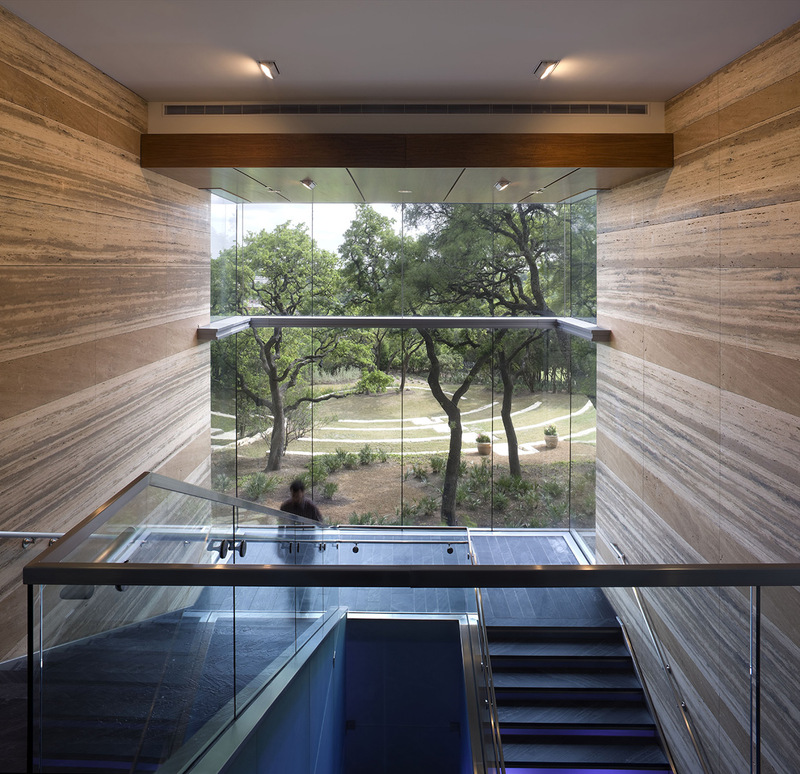 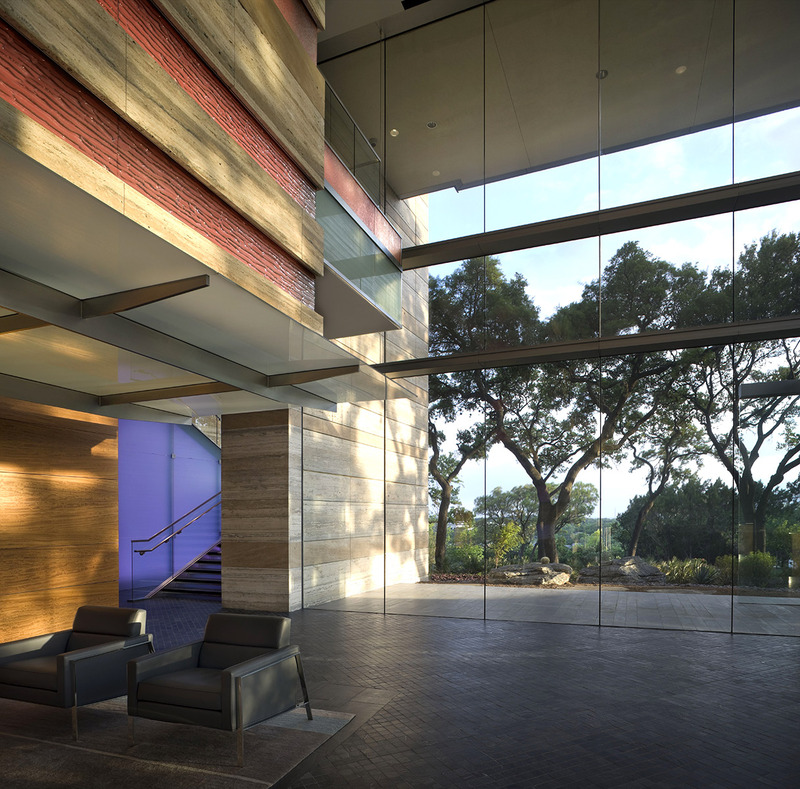 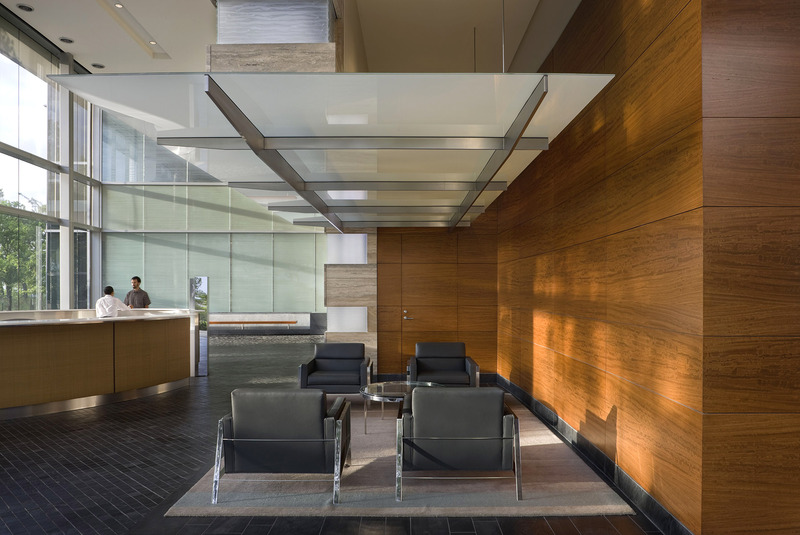 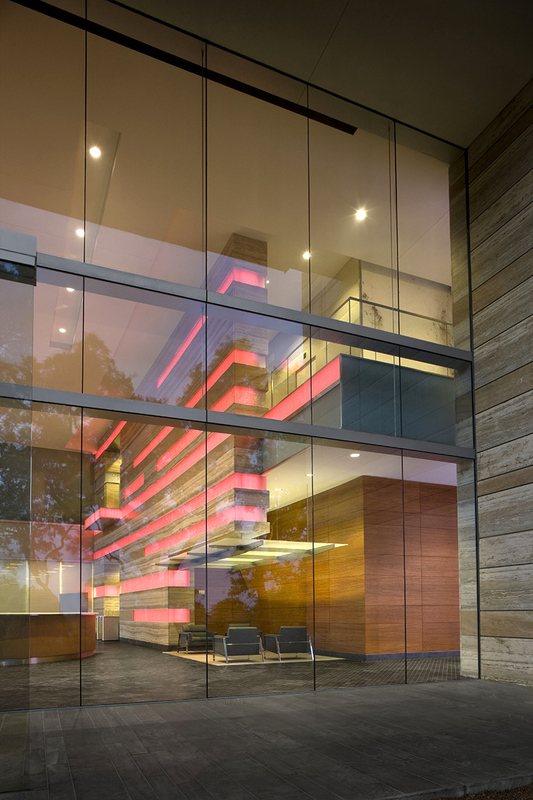 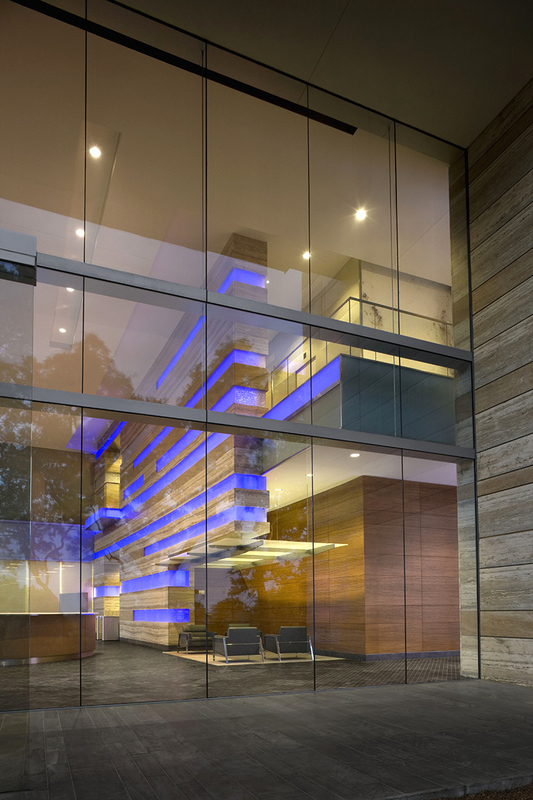 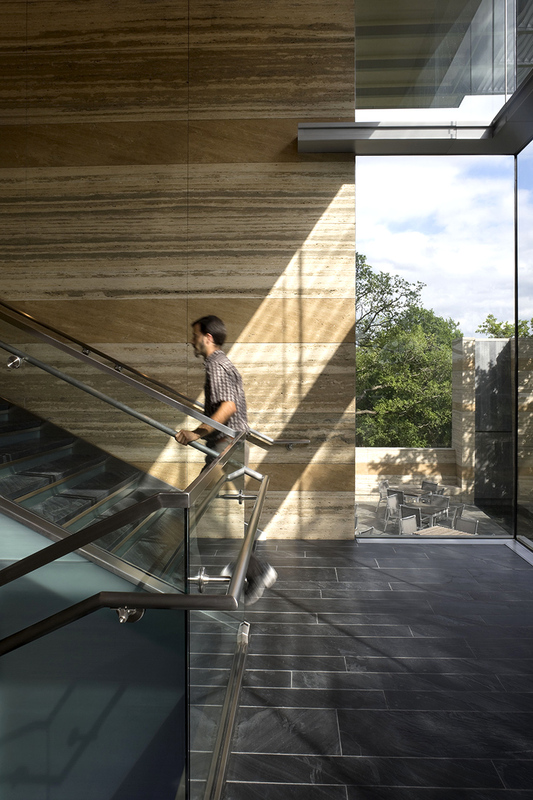 The building lobbies feature two-story high glass walls that look out onto a landscape that reflects the natural beauty of the Texas Hill Country. 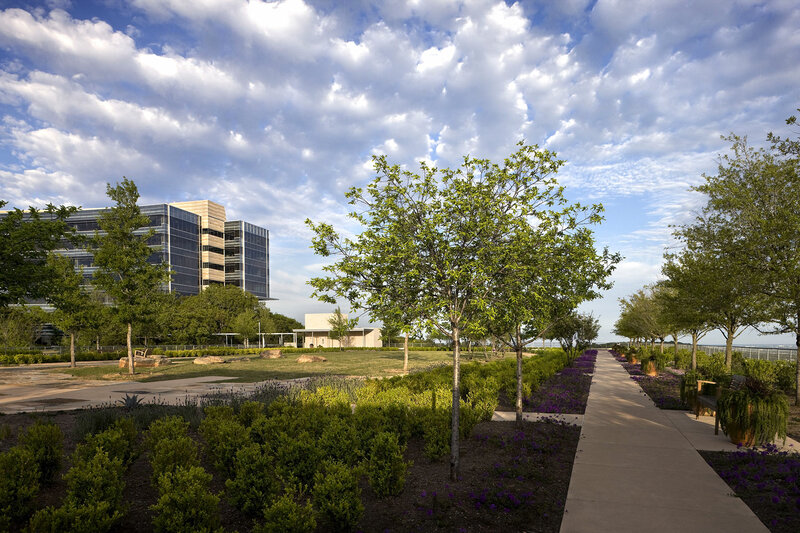 A unique feature of the project is the green roof over the top level of the parking structure, landscaped with native vegetation. 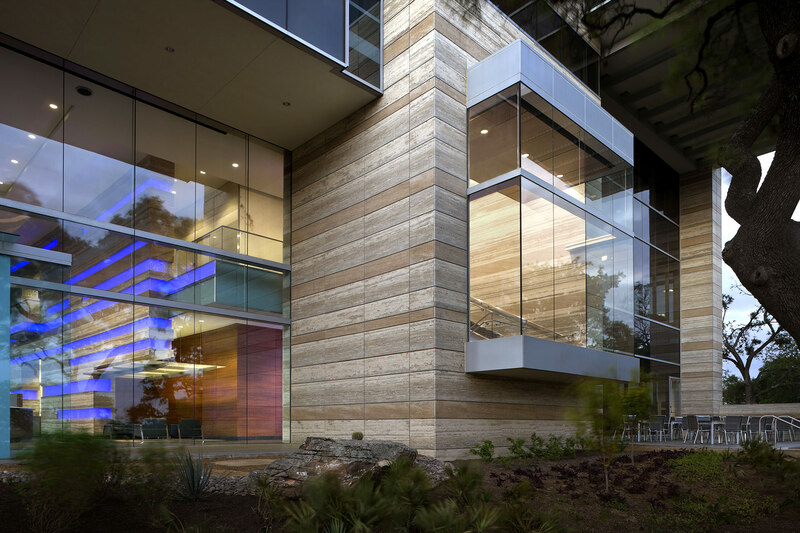 This feature helps to reduce “heat island effect” and uncontrolled rain water runoff. 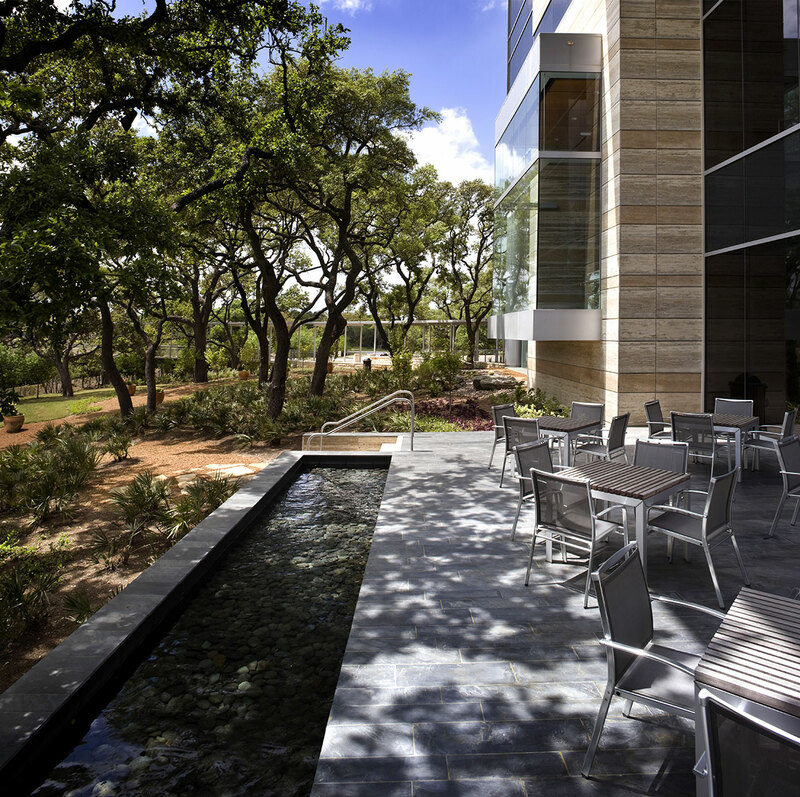 The building received a Austin Energy Green Building 3 star rating.